It’s an all piano weekend at Bargemusic. 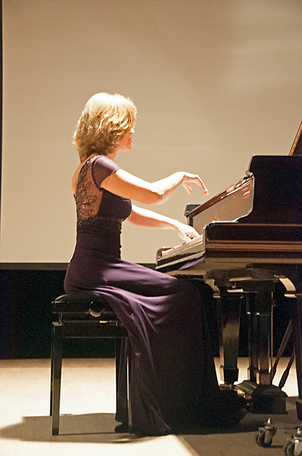 The keyboard fest begins Friday evening, May 11, at 8:00 with Olga Vinokur (photo) playing works by Fanny Mendelssohn, Chopin, and Schumann. On Saturday, May 12 at 8:00 Gerald Robbins will play works by Schubert and Brahms. On Sunday afternoon, May 13 at 4:00, Misha and Cipa Dichter will play works by Schubert. There are details for each concert and you may buy tickets here.